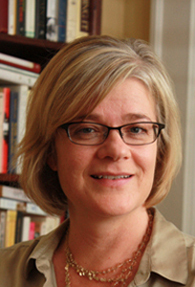 Professor of New Testament Shelly Matthews has a different take on the Gospel of Luke. Different, that is, from one that I have for a long time generally embraced on this blog. I have written positively before about Shelly Matthew’s work and find myself doing so once more here. This time I am discussing her article in the Journal of Biblical Literature last year, Fleshly Resurrection, Authority Claims, and the Scriptural Practices of Lukan Christianity. Why Stress the Flesh of the Resurrection Body? But as Matthews points out, Luke and John have quite different purposes for their respective body of flesh scenes. The fourth gospel uses the physical wounds of Jesus as identifying marks so that Jesus can know who is standing in front of him: it really is Jesus who was crucified by being nailed to the cross and then speared in the side. In John 21 Jesus does not eat the fish but distributes it among his disciples. In Luke 24 Jesus eats the fish to prove he is a fleshly body. The question that follows, of course, is why would Luke want to make such a point. Matthews’ answer is that the author of the third gospel is using the fleshly body of the post resurrection Jesus as a vital element in establishing the supreme authority of the twelve apostles against others (various visionaries such as Mary and Paul) who were looked to as authorities in his day.